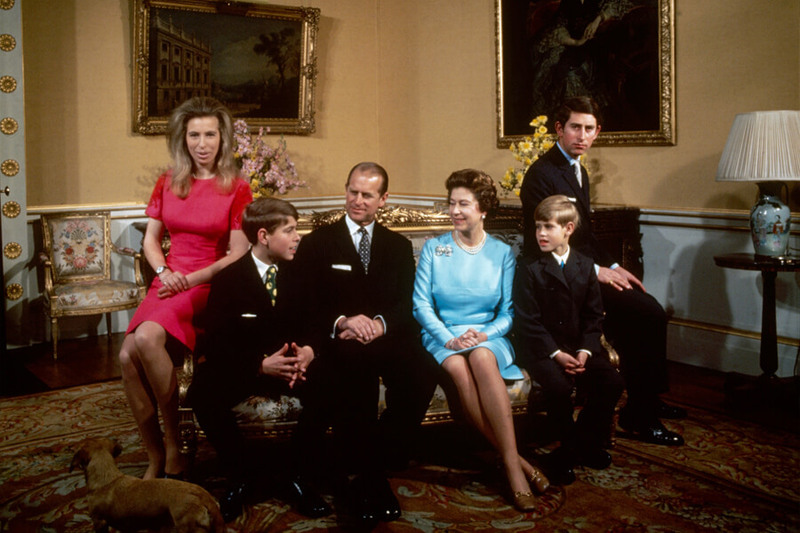 For decades upon decades, the British Royal Family has captivated the world. In 2011, all eyes were on England for the wedding of Prince William to Kate Middleton, and now we’ve also gotten to watch Prince Harry tie the knot with American actress Meghan Markle. With the birth of Prince Louis recently and the possibility of more children to come in the future now that Harry and Meghan are married, what better time to take a look back at the royals in all of their glory? 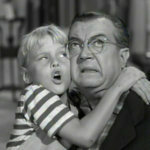 Join us as we rummage through their family album to view some rare and often forgotten snapshots. 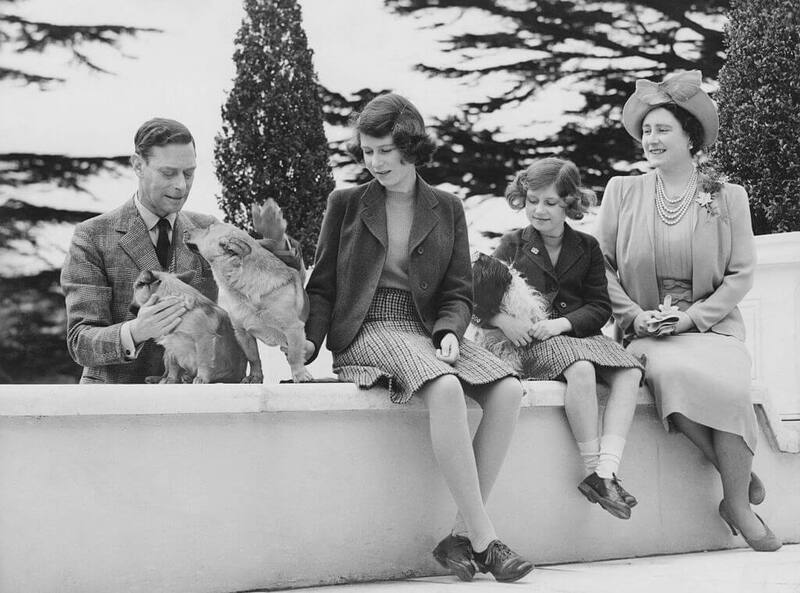 We all know how much Queen Elizabeth II loves her dogs. 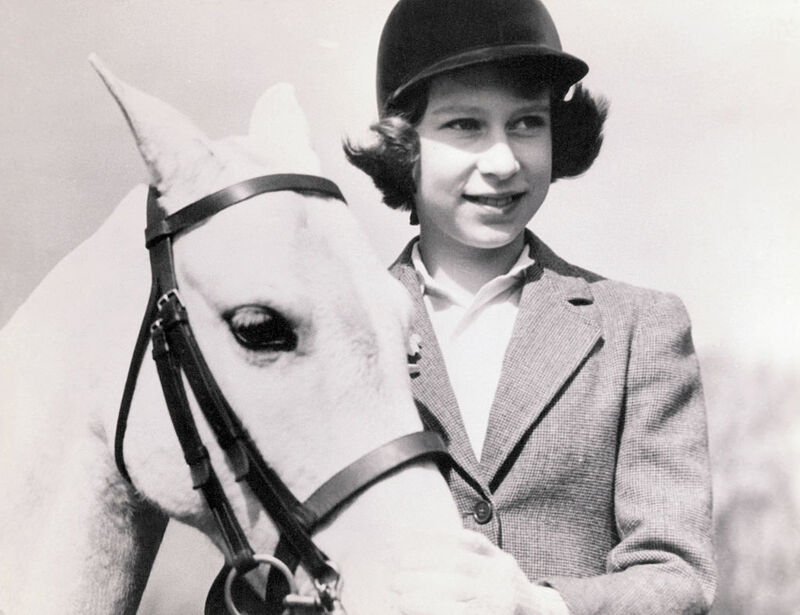 There’s plenty of photo evidence to show that the head of the royal family has been cultivating bonds with four-legged friends since she was a child. 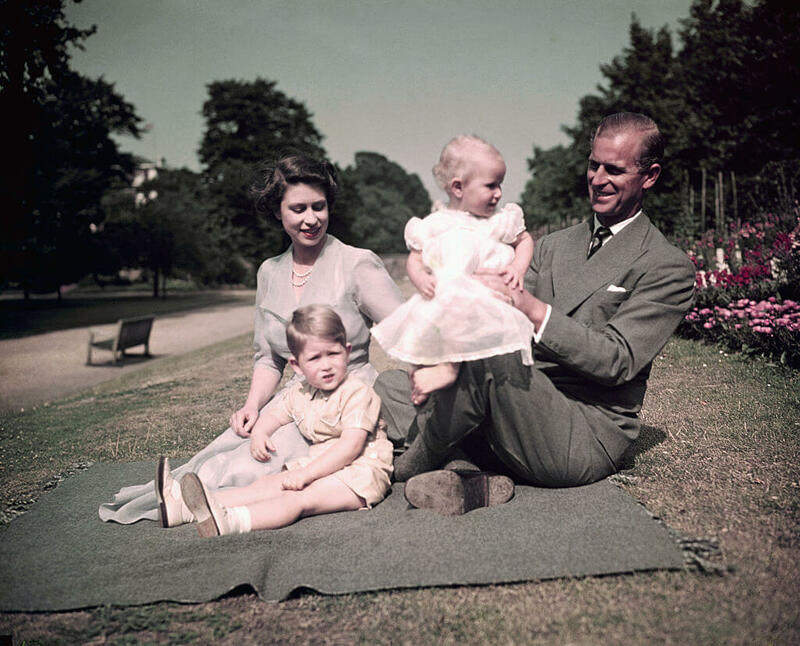 Here, she sits in the grounds at the Royal Lodge in Windsor in April of 1940, alongside her mother, Queen Elizabeth, her father King George VI, and her sister, Princess Margaret. The family’s attention is focused primarily on their dogs, Ching, Carol, and Crackers. Those are some names. Way better than Fluffy, if you ask us. Prince William was just 15 years old when his mother, Diana Princess of Wales died in 1997. Prince Harry was 12. That’s an awful trial for anyone to go through, let alone children in the public eye. Above all of her royal duties Diana prized spending time with her boys. The above shot of Diana buried in the sand was taken in 1990 on vacation in Necker Island, a private paradise in the British Virgin Islands just north of Virdin Gorda owned by Sir Richard Branson. The mogul continues to speak highly of his late friend, insisting that Prince William and Prince Harry have ‘saved’ the royals. Most of the pictures released to the public of the royal family are perfectly poised, professionally taken snaps. Not a hair is out of place, or a hat at a crooked angle. It’s all meticulously orchestrated down to the last detail. Of course, pictures of them out and about doing their visits can be a different story, like this gem. 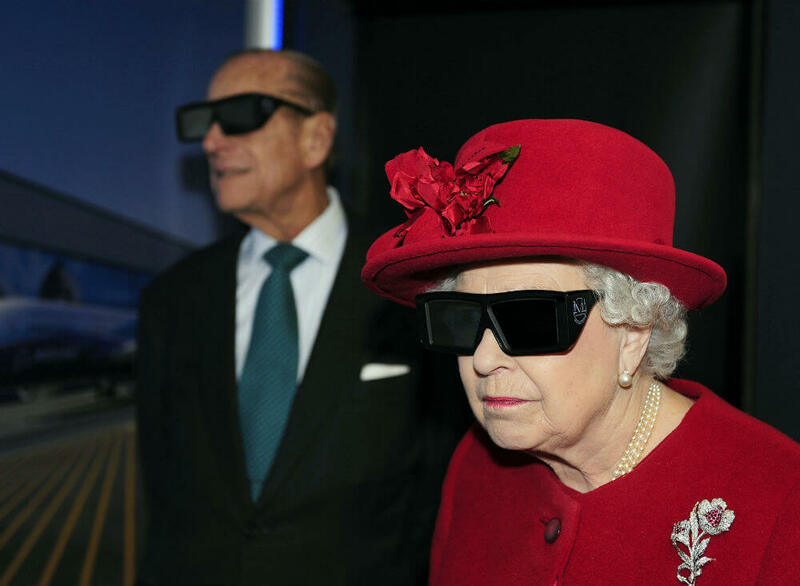 In 2010 the Queen and Prince Philip donned some stylin’ 3D glasses to watch a display and pilot a JCB digger when they visited the University of Sheffield Advanced Manufacturing Research Center. We have to say, you’re looking pretty down with the kids there, ma’am. There’s no doubt that the life of a royal child is different from most of our lives. For starters, we imagine there’s no such thing as going out with your friends and lying to your parents about where you’ll be. 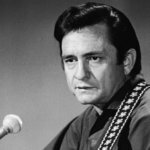 It’s a privileged life, but in terms of freedom it can blow the big one. This sweet picture of a young Queen Elizabeth II alongside her sister Princess Margaret is a hidden gem in the family photo album. Back then, kids usually had to make their own fun. Throwing a royal pantomime with the help of Hubert Tannar sounds like a pretty good way to do it. 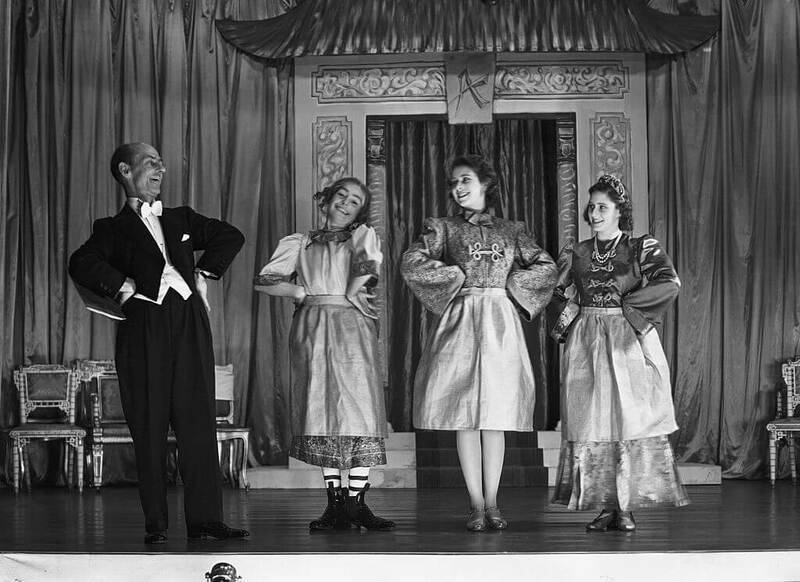 Here they are singing “The Ladies Wot Oblige” in 1943 for their own version of Aladdin. 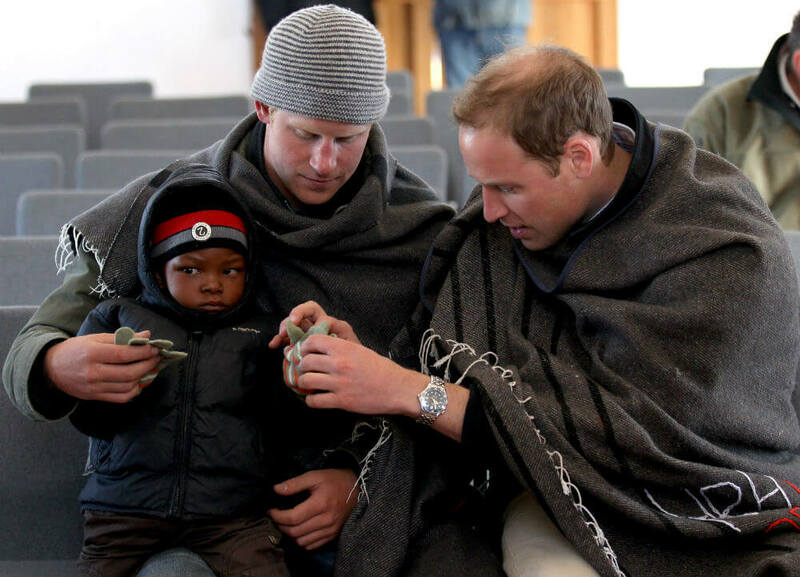 Prince Harry and Prince William are undoubtedly the most popular royals in modern times. 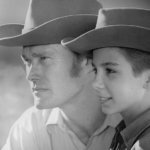 There’s something about them that makes them seem relatable and accessible – even though Harry had a few blunders in his youth. The brothers have never shied away from doing their bit. In 2010 they visited Semonkong, Lesotho in Africa where they spent time visiting some projects supported by their charities — namely, Sentebale and Tusk Trust. Here, they’re pictured helping a young boy put on some gloves to keep away the cold. Be still our beating hearts. This couldn’t get much cuter if it tried. Family events can be so dull, can’t they? When you’re a kid, standing in a church for an hour can feel like an eternity, and that’s just at your standard christening. Here, a little Prince Charles looks like he would rather be doing anything else than watching his mother’s Coronation. 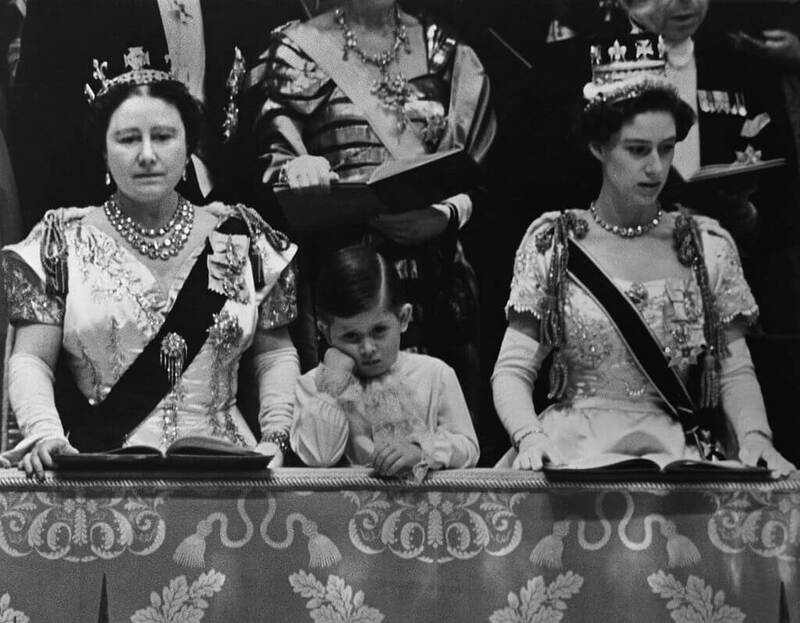 The year is 1953, and little Charlie is sandwiched in between his aunt, Princess Margaret (right), and his grandmother, Elizabeth the Queen Mother. Honestly, we don’t blame the little guy. There are the recognition and the oath, the anointing, the investing, the actual crowning, then the enthronement, homage and finally the closing procession. That’s a lot for anyone to endure. When Princess Diana died in a car crash in 1997, the entire world was shaken. Dubbed “The People’s Princess,” Diana flipped the script on what it meant to be a divorced royal. The public adored her – in their eyes, she could do little wrong. 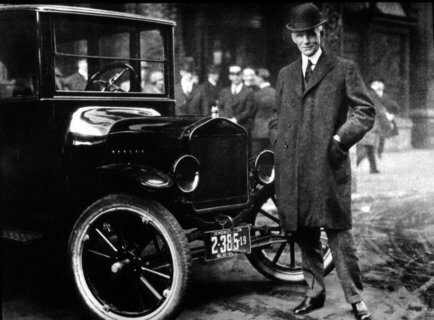 While her relationship with ex-husband Charles was strained, when it came to her funeral he was there for his kids. This striking photograph was taken at Diana’s funeral seven days after her death. 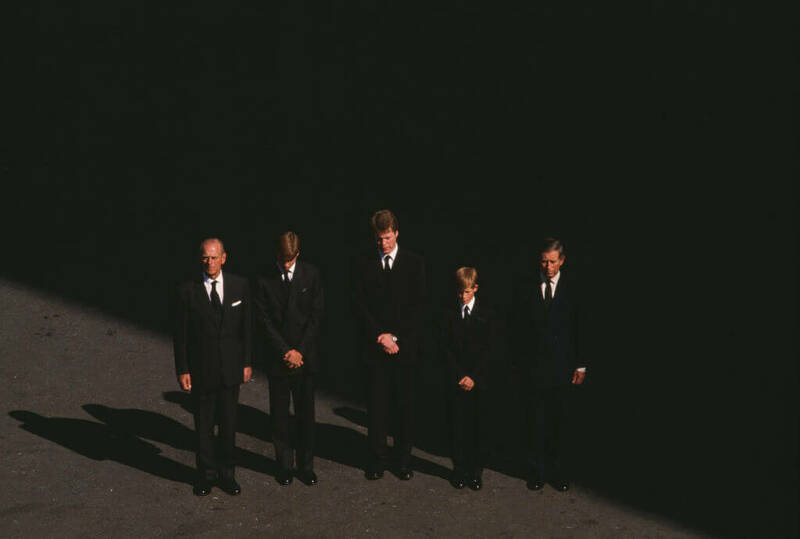 Prince Philip, Prince William, Earl Spencer, Prince Harry, and Prince Charles, all dressed in black suits, bow their heads during the service which took place at Westminster Abbey on September 6th, 1997. We can’t get enough of a good love story, can we? Dating when you’re in the royal family can be a bit of a minefield, but Kate and Will managed to navigate it all pretty well. They reportedly started dating in 2003 after meeting at university. Although they briefly split in 2007, they officially tied the knot in 2011. 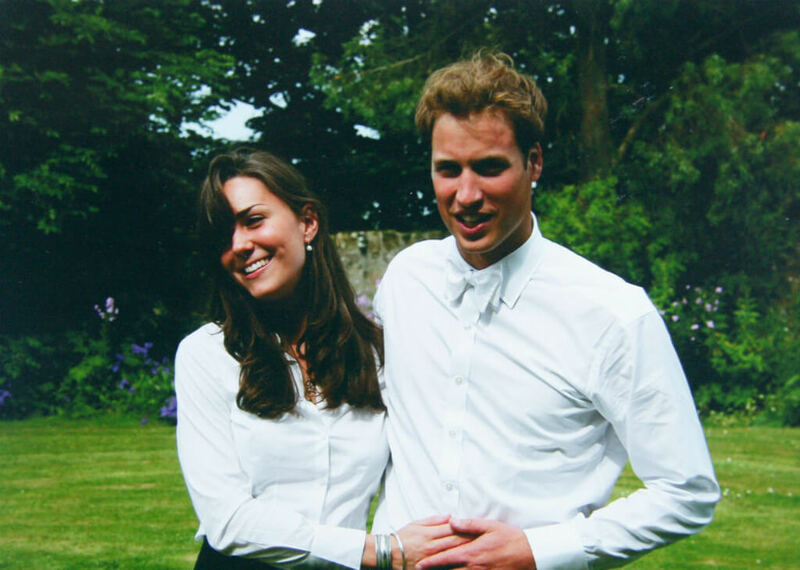 To celebrate the upcoming nuptials in 2011, the Middleton family released personal pictures of the young couple, including this one which was taken on the day they graduated from university in 2005. With Kate just recently welcoming their third child, they’ve come a long way. Just look at William’s hair as proof. If Prince Charles were on social media, we’d imagine he’d be asking all of his chums to untag him in this unflattering picture. 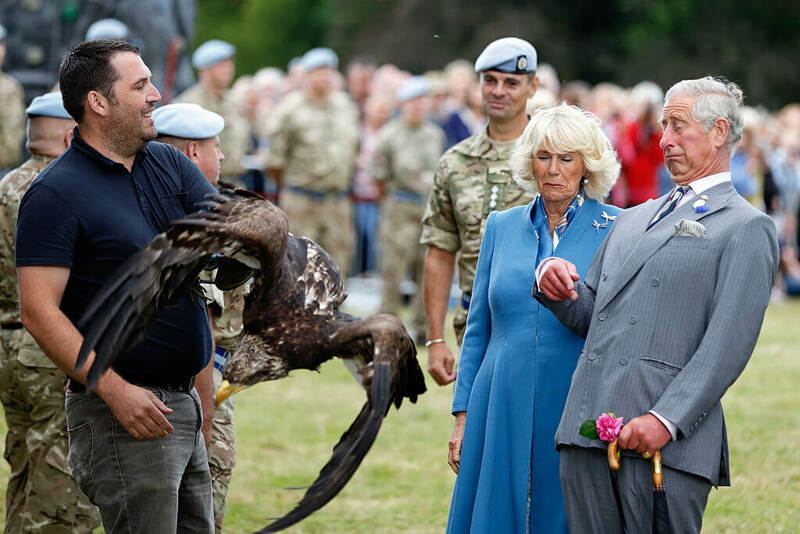 Thankfully, he’s not, so the rest of us get to enjoy his reaction to a flying eagle alongside his wife Camilla. During the Sandringham Flower Show in 2015 in King’s Lynn, the mascot of The Army Air Corps gets a little bit excited and flaps his wings, causing the pair to veer back in the most hilarious way possible. Seriously, someone paint a portrait and hang it in Buckingham Palace ASAP. This needs to be documented in every way possible for the history books. We know what you’re thinking, but no – it’s not the latest royal pantomime version of Singin’ in the Rain. 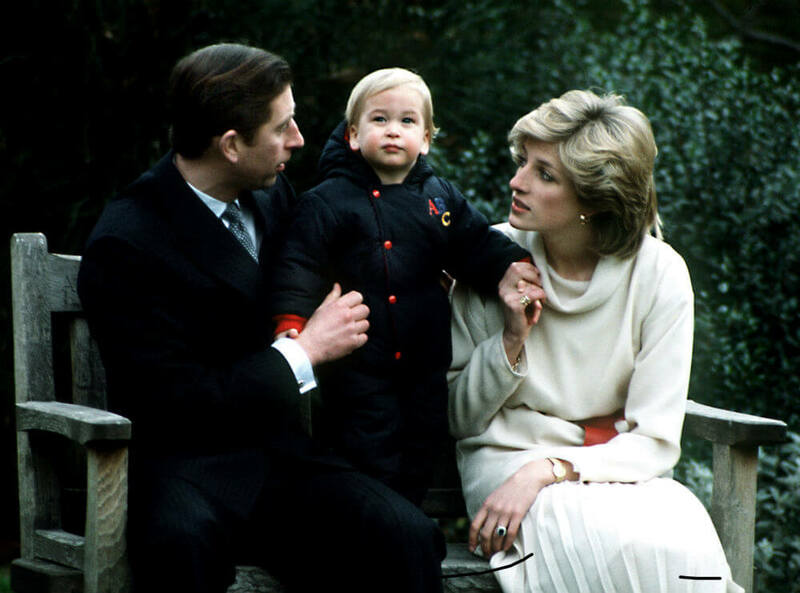 While Meghan is now at Harry’s side for most of his public appearances, there was a time when himself, Prince William, and Kate were a regular trio. 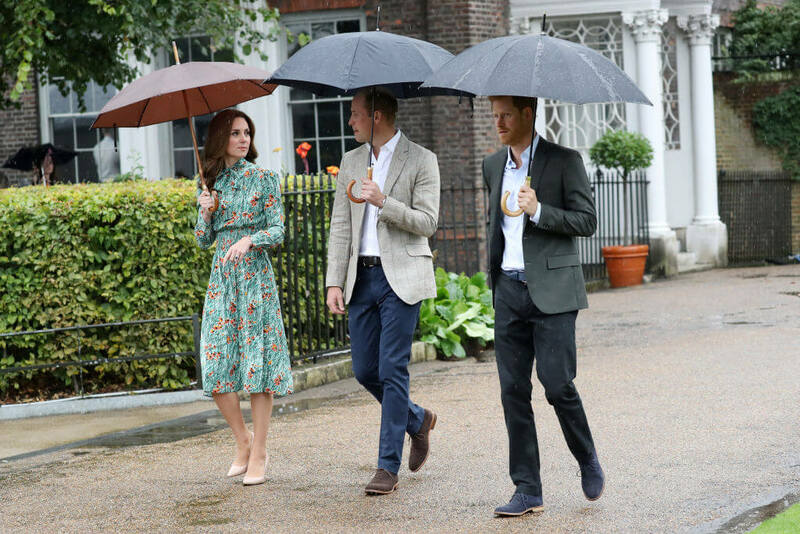 Above they’re pictured on a rainy in England as they visited The Sunken Garden at Kensington Palace in August of 2017. The beautiful garden was transformed into a White Garden to honor the memory of their late mother, Diana. Might want to watch the grass with those heels, Kate. For millennials, it’s hard to remember the Queen in any other way than she is now. While rumors abound that her majesty wasn’t the biggest fan of Princess Diana, there’s no doubting that she has always doted on her grandsons. 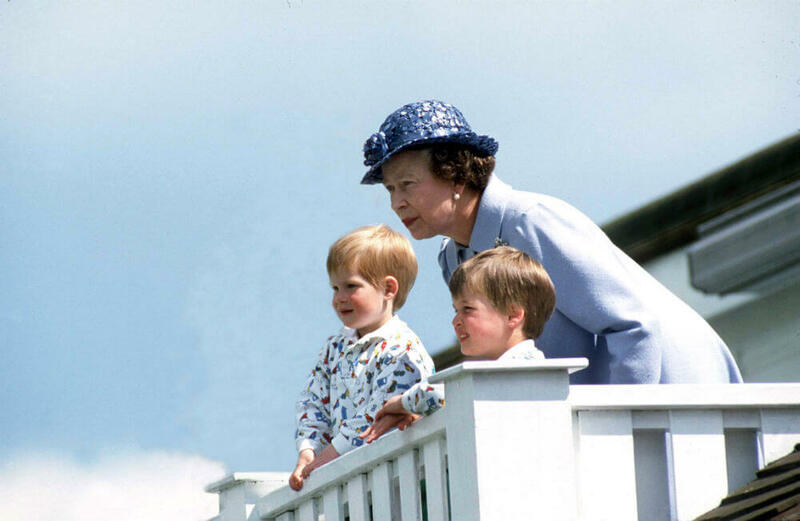 In this sweet photo, grandma watches over the two boys as they take in a match from The Royal Box at Guards Polo Club, Smiths Lawn, Windsor in 1987. Harry was just three years old while William was five. Don’t they look like the most adorable little princes? Harry’s strawberry blonde hair and his cute patterned shirt are particular highlights of this scene. When Live Aid came to fruition in the 80s, it was only right that the huge fundraising effort was met with a royal welcome. Princess Diana and Charles had front row seats at Wembley Stadium and sat with the musical elite. 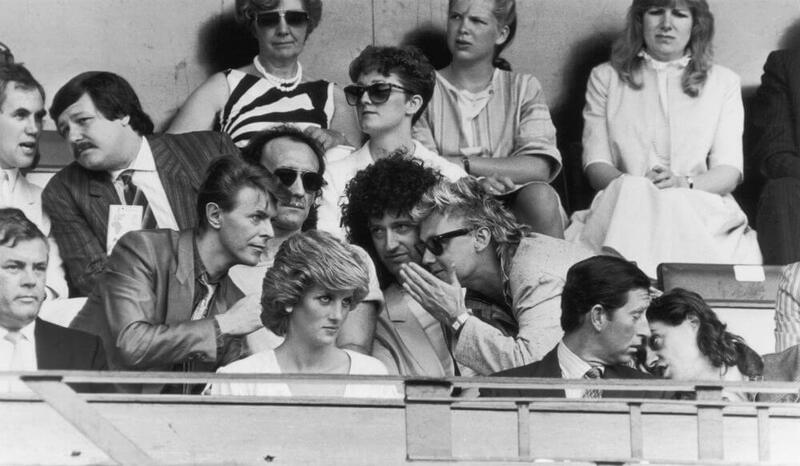 Here, Bob Geldof can be seen whispering something into Prince Charles’ ear, while David Bowie has a chat with Roger Taylor and Brian May of Queen. That’s a lot of famous for one photo, isn’t it? Princess Diana seems focused fervently on the festivities, probably watching the stage. We don’t blame her, as there’s a lot of famous up there too. The Queen recently celebrated her 92nd birthday, which is pretty impressive by anyone’s standards. Of course, on such momentous occasions, the whole family gets together to enjoy the festivities. We do the same, but we usually hire a DJ and rent a hall. This picture was taken on April 21st of this year at a star-studded concert put on in her majesty’s honor. It was billed as “The Queen’s Birthday Party”. 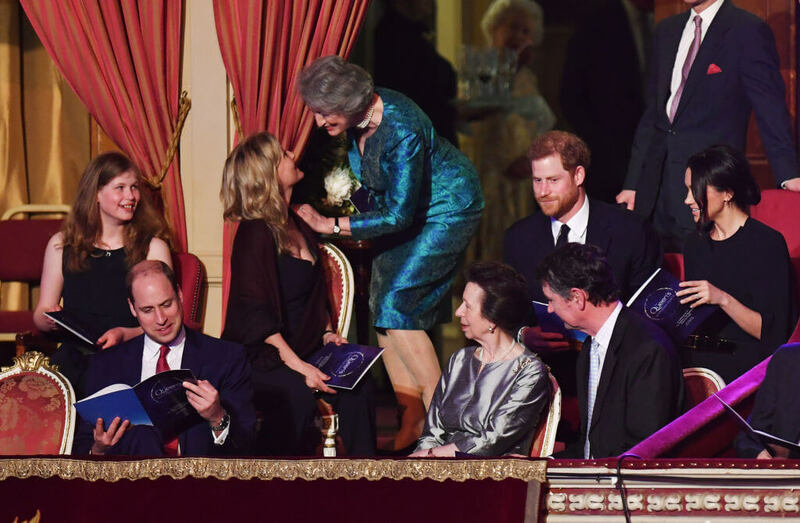 Here you can see Lady Louise Windsor, Sophie Countess of Wessex, Prince William, Prince Anne, Vice Admiral Sir Timothy Laurence, Prince Harry, and his soon-to-be wife Meghan Markle as they take their seats for the show. Being a member of the royal family means that all eyes are on you, all of the time. 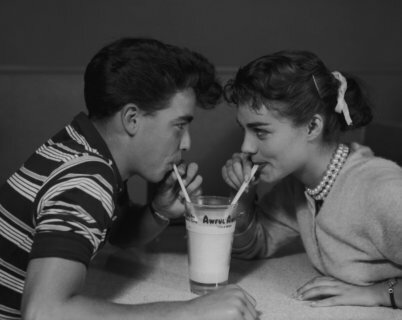 We “norms” can walk down the street holding hands and making eyes at our significant others without much more than a grossed-out stare from the neighbor across the street. For royals, a kiss can make headline news. Although this candid shot of Prince Charles and his wife Camilla pales in comparison to that balcony kiss of William and Kate’s, it’s still pretty sweet. It was taken after Charles participated in a royal polo match in 2005, in Cirencester, England. 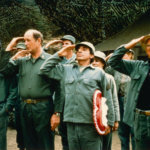 News of Prince Harry’s engagement to US actress Meghan Markle received a mixed response across the world, with some traditionalists questioning if the young prince could really marry an American divorcee. Luckily, most people – along with us – believe Meghan and Harry are a match made in heaven. Since the engagement Meghan has been easing herself into royal duties, just like this one pictured. The couple visited Cardiff Castle in south Wales in January for a day that celebrated the heritage of Wales. Meghan looks really touched by all of the gifts and well wishes from the crowd. Who wouldn’t be? Princess Diana’s marriage to Prince Charles was short and unhappy. 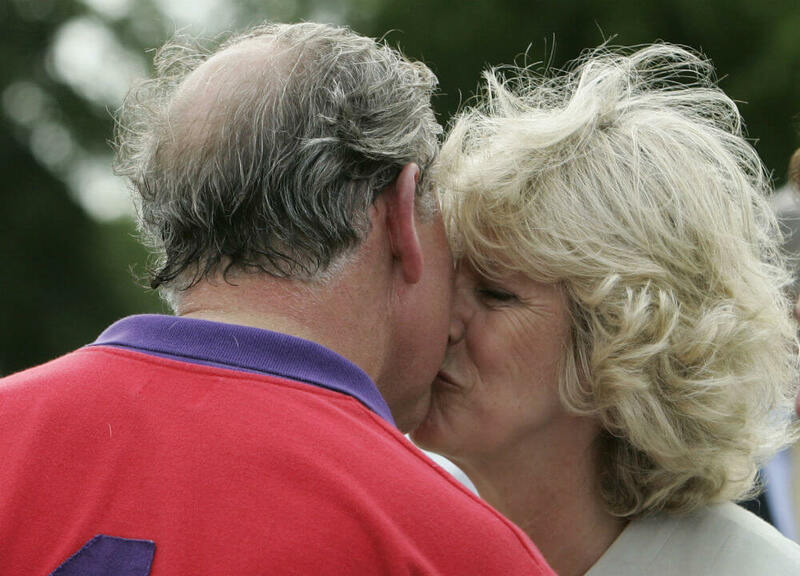 Though they had two children together, it wasn’t long after they tied the knot that Diana discovered Charles was having an affair with his now wife, Camilla Parker-Bowles. Here, they’re pictured on Prince William’s first official photo engagement at Kensington Palace, London, on December 14th, 1983. The cherub-cheeked youngster looks off into the distance as his parents talk to him. This photo makes you realize how much Prince George looks like his daddy, doesn’t it? Undoubtedly Prince Louis will have the same characteristics too. Kids love a good day out, regardless of if they’re royal or not. Throw balloon animals into the mix, and you’ve got a winning combination. Lucky Prince George and Princess Charlotte were treated to the inflatable friends during the 2016 royal tour of Canada. Here Prince William and Kate take the tots to a party for military families and stop to get a balloon animal (or several). 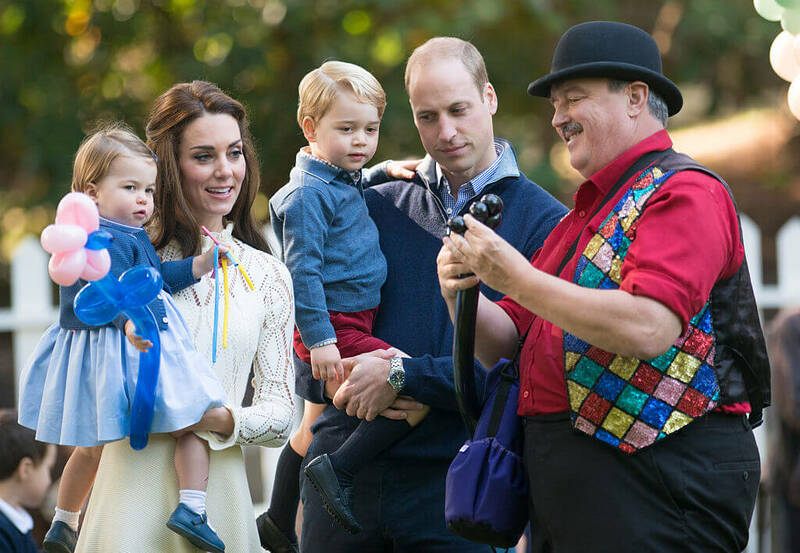 Charlotte holds one fashioned like a flower, while George and William are intently concentrating on what’s about to be made for them. As far as family pictures go, this is almost normal. Seeing the Queen break her perfect posture is always a laugh. While we see her smiling, her majesty almost always seems quite reserved and poised. Luckily for us, eagle-eyed photographers managed to capture this great shot. Here, Kate and Queen Elizabeth sit side by side watching a children’s sports event in Vernon Park during a Diamond Jubilee visit to Nottingham in June of 2012. Clearly, something has tickled the monarch as she throws her hands in a grand gesture. 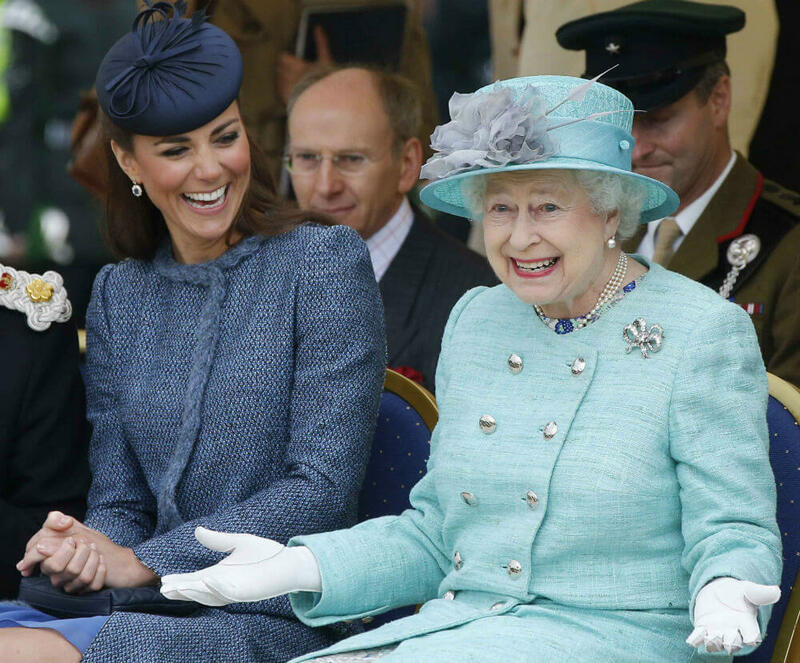 Kate obviously finds it highly amusing too, so it must’ve been a grand ol’ time. 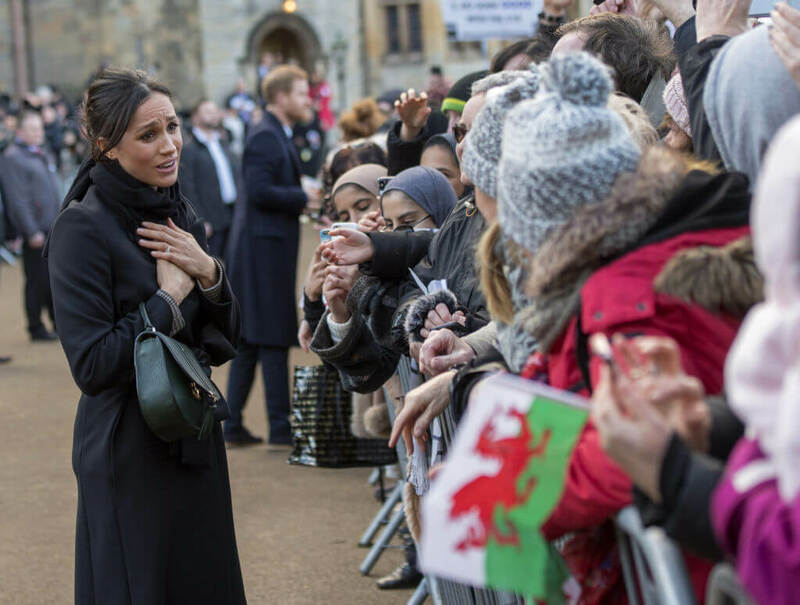 Stopping to chat with the public is one of the easiest parts of being a royal, we would imagine. After all, some of the duties are pretty intense, like visiting war-torn countries or having to sit through ceremonies for hours on end. Prince Philip, now aged 96, is dialing down his royal duties. We can’t blame him really, can we? Since he wed the Queen back in 1947, the Duke of Edinburgh hasn’t stopped. 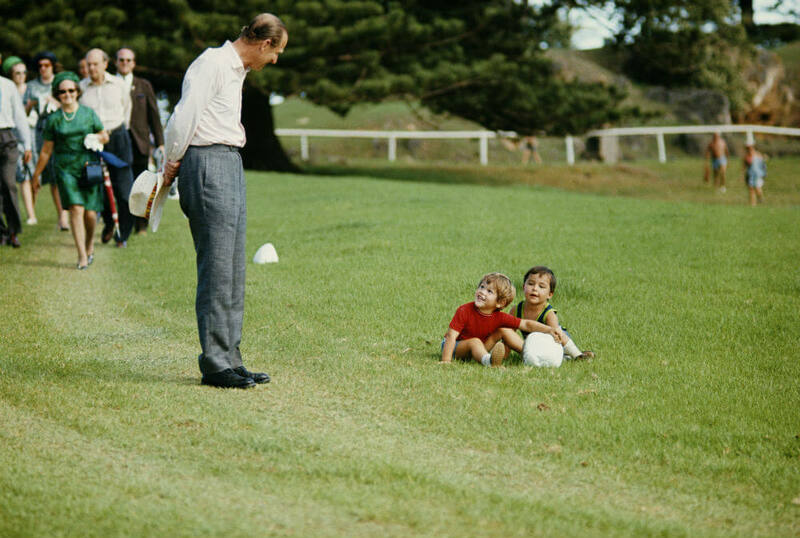 Here, the Prince stops by to have a chat with two mischievous toddlers in an unknown location, circa 1980. It’s quite likely that two boys had no idea who they were talking to. Imagine that! There’s nothing quite like spending time with your parents, is there? Although the extent of our family time usually doesn’t go beyond Friday night dinners a la Gilmore Girls, the royals have dozens of events to attend every year. 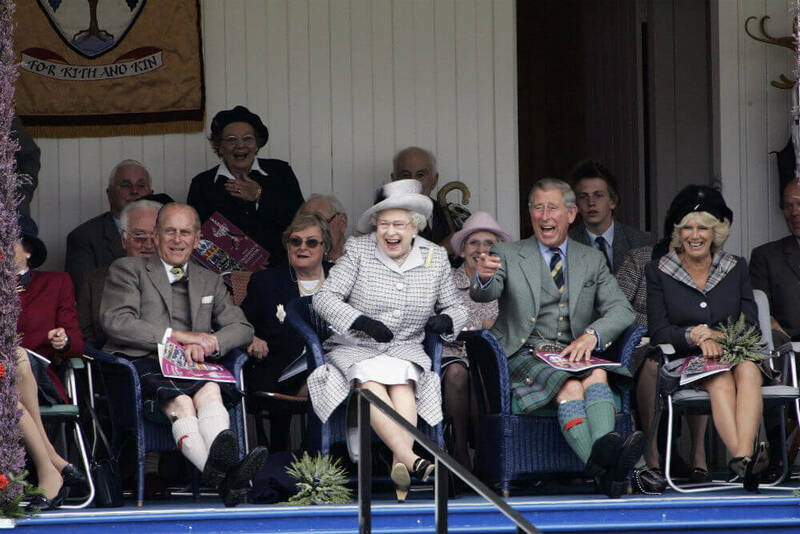 Prince Charles laughs alongside his mother, his wife Camilla, and his father Prince Philip here as they watch their Balmoral team in the tug of war competition at the Braemar Games Highland Gathering in September of 2006. Having both of your parents alive in their 90s isn’t something many of us get to experience, but it looks like Charlie is making the most of it. 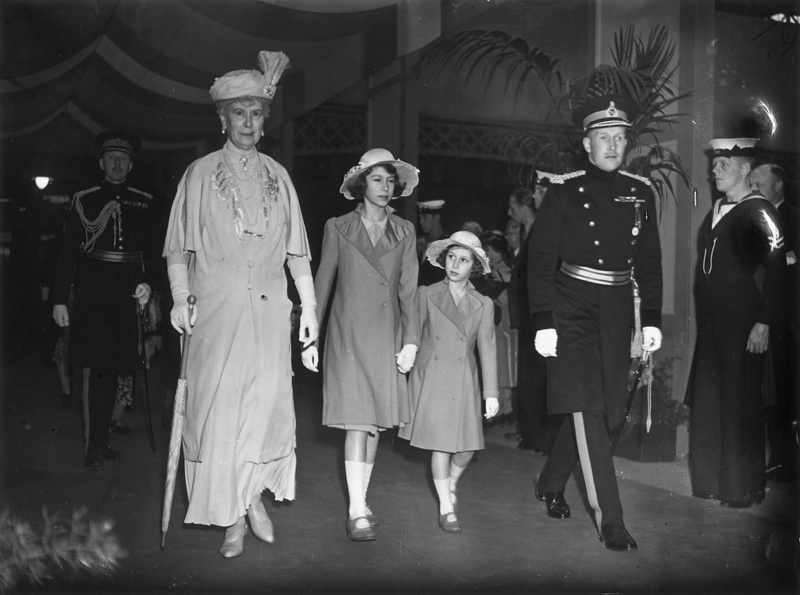 Here is a picture of Queen Mary and her two granddaughters Princess Elizabeth (Young Queen Elizabeth) and Princess Margaret. The trio was attending an afternoon performance at the Royal Tournament in Olympia. It is the 22nd of May in 1939, and the girls just wanted to get out of the palace and enjoy a show like any other person. 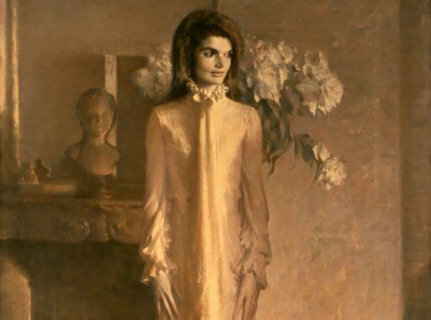 Mary lived to be 85 and died in 1953. Upon her death, the throne was succeeded by Elizabeth who would become Queen Elizabeth II of Great Britain. 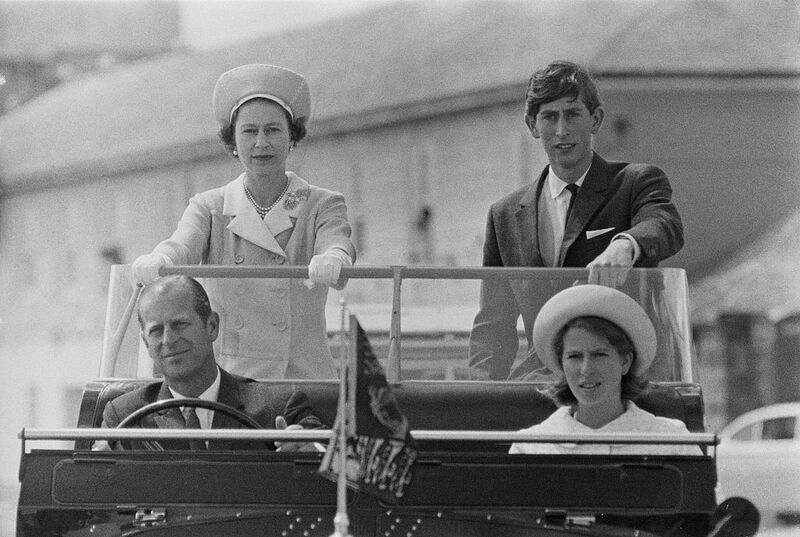 This is an image of Queen Elizabeth II with Charles, Prince of Wales, Prince Philip, Duke of Edinborough, and Anne, Princess Royal during their visit to the Isles of Scilly in 1967. While it might be a nice day outside, Queen Elizabeth looks like she means business and that there’s no time to show weakness. She is easily the most fierce looking person in the picture, and rightfully so, she is the queen. It makes you wonder where all of their security is if they have any. Here is a picture of a young Princess Elizabeth before she was crowned queen of England. She is just 10 years old and posing with her pony for the camera. Like most royalty, it’s not surprising that Princess had a pony at her age and could be frequently seen riding it around on occasions. Although she may be a little bit too old today, she must wish she could hop on a horse again to bring back the memories. Queen Elizabeth II, takes a stroll in the garden and gets a picture taken with her dog. 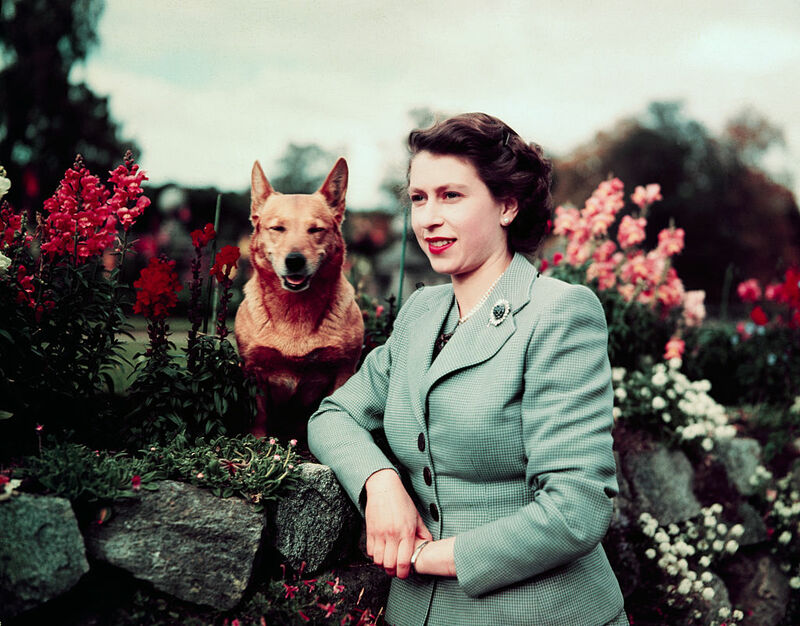 Both Queen Elizabeth and her dog look like they don’t have a care in the world. Clearly, the dog knows what to do for the camera because it’s smiling directly at it. Queen Elizabeth looks unbothered and that maybe this is part of her everyday routine to have a picture taken with her dog. That dog probably gets treated like royalty as well. For Queen Elizabeth’s 39th birthday, she and the family went to Windsor to celebrate. This included Prince Philip, Duke of Edinburgh, Princess Anne, Prince Edward, and Prince Charles. It looks like a pretty good looking group and we’re sure that they enjoyed getting out to the country to enjoy their time together without constantly being watched. All families need time to relax and enjoy each other’s company, even royal ones! 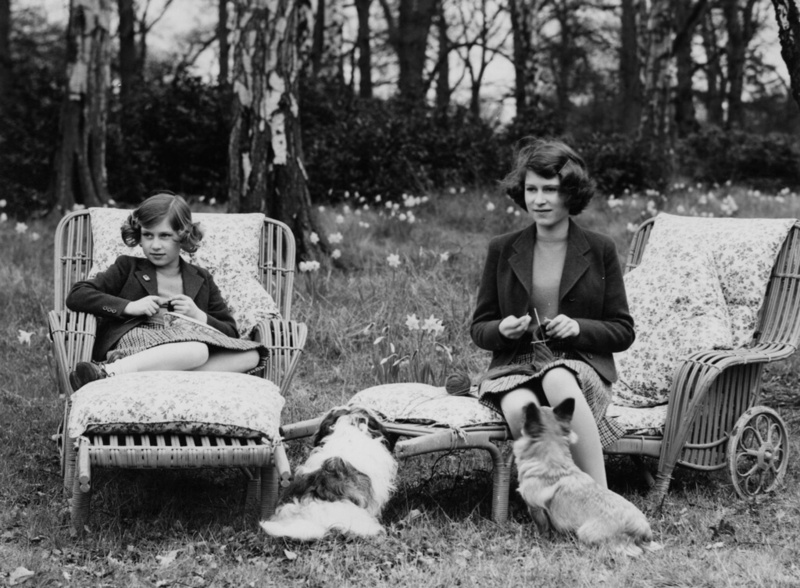 Here, a young Princess Elizabeth and her younger sister Princess Margaret Rode are knitting for the forces on the grounds of the Royal Lodge in Windsor Great Park. It’s April 1940, so the weather is nice enough to sit outside and do other leisurely activities. Once again, you can see the future Queen Elizabeth’s dog sitting loyalty at her feet waiting to be given some attention. It looks like the two sisters are doing more observing than they are knitting. 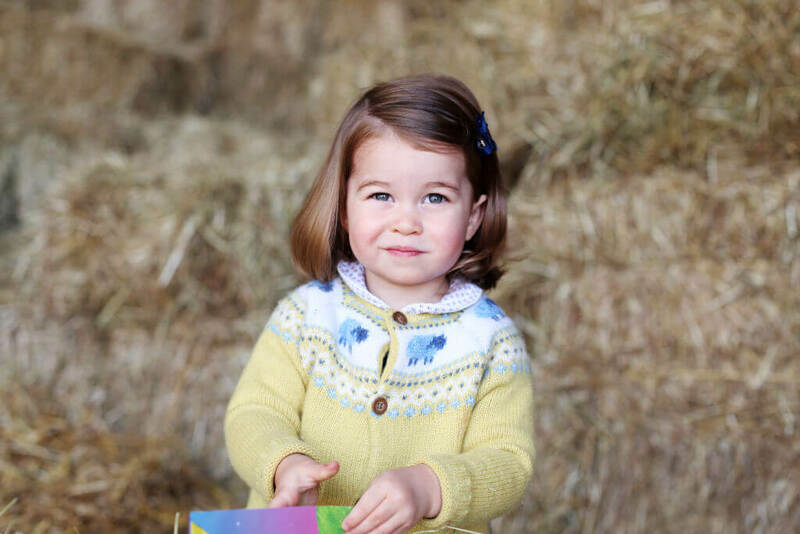 This is a picture of Princess Charlotte at her home in Norfolk, England in April 2017. The picture was taken by The Dutchess on Charlotte’s second birthday with family and friends all around. Although Charlotte may not fully understand what’s happening, it won’t be long before there are pictures of Charlotte on her 18th birthday. Charlotte has become a children’s style icon so people are always trying to get a picture of her. 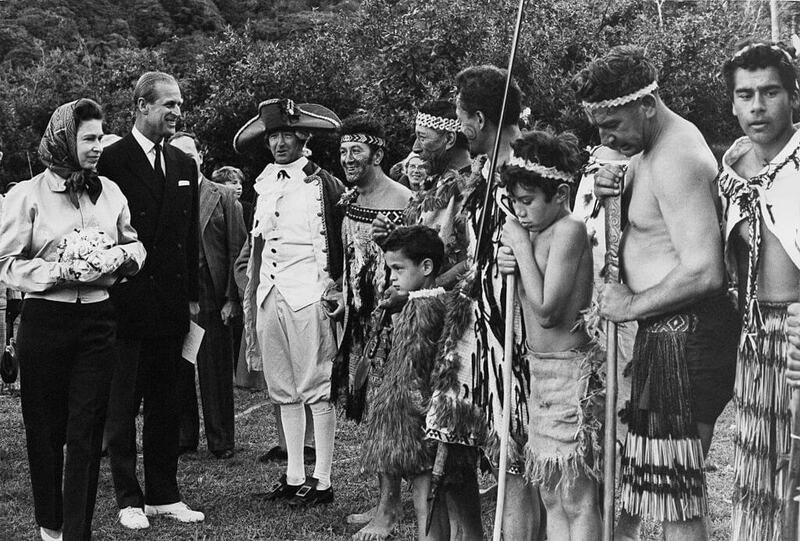 This is a photo of Queen Elizabeth and the Duke of Edinburgh at Ship Cove, during their royal tour of New Zealand on March 18th, 1970. The royal family is there in connection with the bicentenary of Captain Cook’s 1770 expedition to Australia. They are there watching a reenactment of Cook’s landing off of his ship The Endeavor. 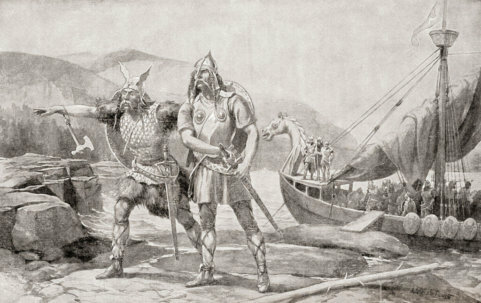 Here they are meeting some of the natives. 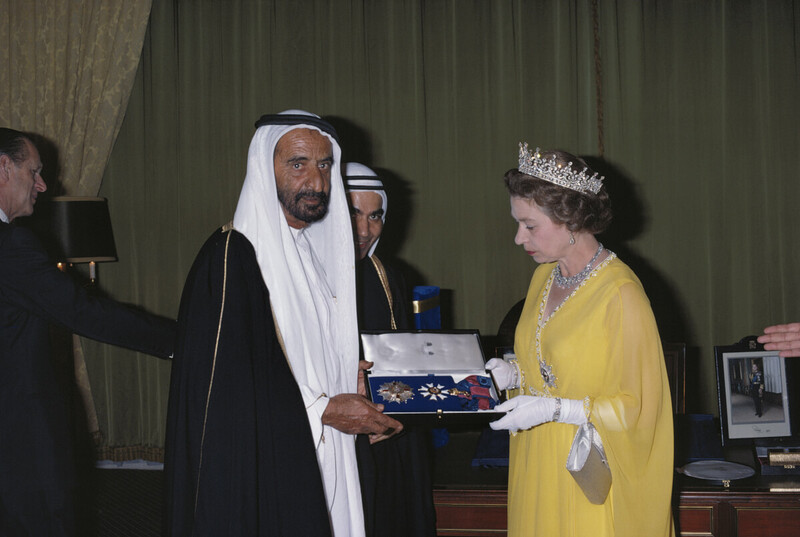 Here is Queen Elizabeth II appointing Sheikh Rashid bin Saeed Al Maktoum, the ruler of Dubai with a Knight Grand Cross of the Order of Saint Michael and Saint George. She gave this to him as part of her royal tour of the Gulf States, in Abu Dhabi, United Arab Emirates. Prince Philip can also be seen in the back left of the photograph. 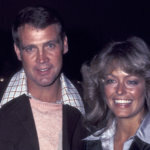 The picture was taken on February 25, 1979. 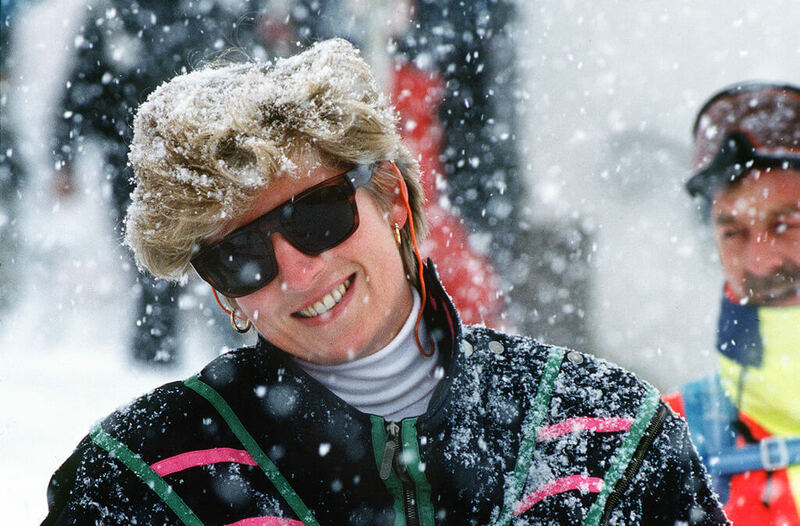 This is a picture of Princess Diana on a ski trip in Lech, Austria in March 1993. She still looks like she’s living in the 80s with those sunglasses and that skiing attire. Maybe if she’s all layered up in clothes, nobody would have been able to recognize her and she might be able to enjoy her day without being hassled because she was a princess. Either that, or she’s going too fast down the mountain. This is the Royal Family having a picnic at Balmoral back in 1953. Clearly, this was a happy time for them because they’re children were young enough to be oblivious to everything going on in the world but exciting because they are young parents. Prince Charles doesn’t seem all that amused and is staring off into the distance waiting for it all to be over. Catherine Duchess of Cambridge and Prince George attend the Gigaset Charity Polo Match with Prince George of Cambridge at Beaufort Polo Club in June 2015 in Tetbury, England. 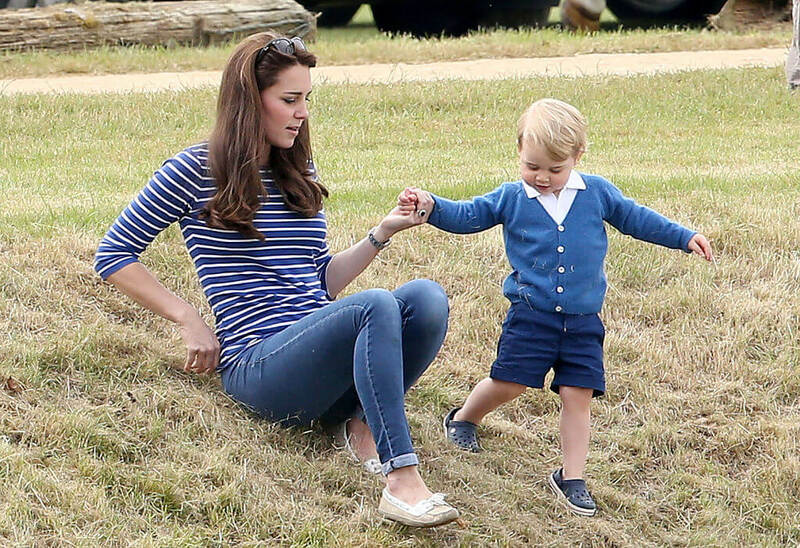 Catherine watches over as Prince George rolls around on the ground and plays in the grass. Prince George frequently needs to play when going to these events to try and distract him from the lack of kid-friendly activities. Here, the British, Greek, and Spanish Royal Families share a boat ride together. 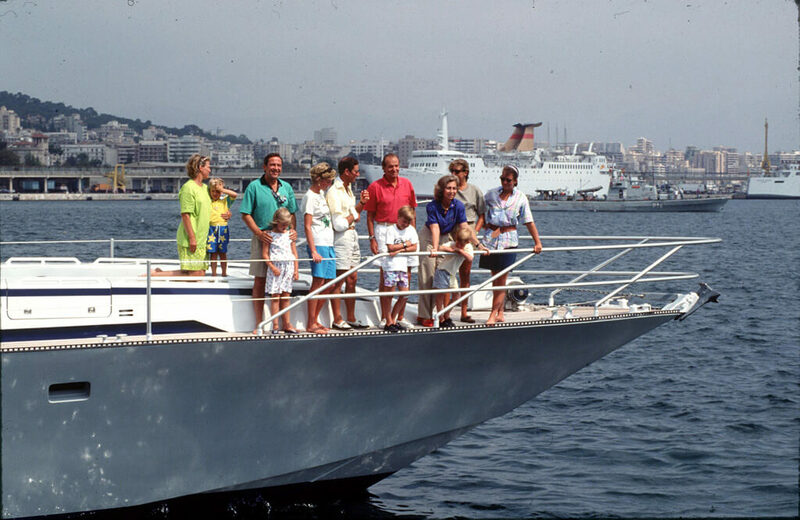 This includes Princess Diana And Prince Charles With Prince William, Prince Harry, King Constantine And Queen Annemarie Of Greece, Princess Theodora, Prince Philippos, King Juan Carlos And Queen Sofia Of Spain, Infanta Cristina And Infanta Elena On Board The Yacht Fortuna On Summer Holiday In Majorca. The families are getting to know each other and letting their children mingle to improve relations. Prince William, the Duke of Cambridge is warming up before he participates in the Audi Polo Challenge at Cosworth Park Polo Club in Ascot, England on May 28, 2016. He is stretching with another player before they saddle up and play. The polo games are all for charity, so the Royal Family is sure to make an appearance. Prince William has to show his competitors that he means business and is here to win. 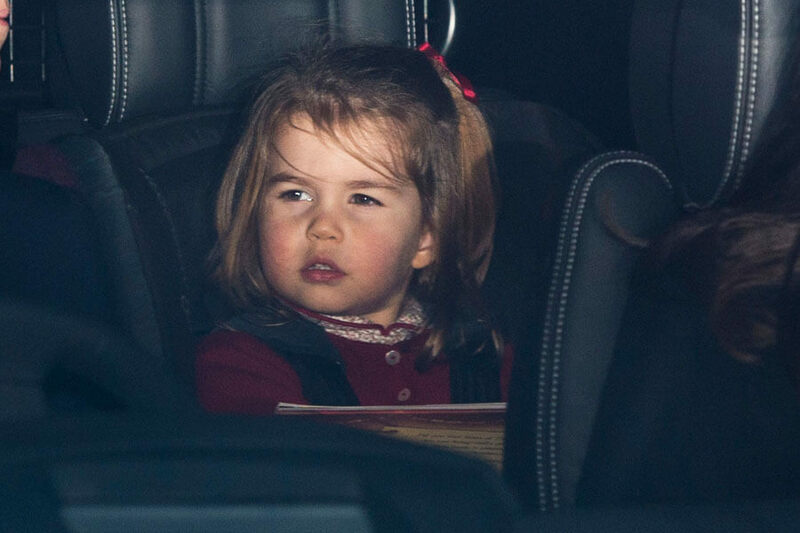 Here is Princess Charlotte of Cambridge attending a Christmas lunch in 2017. The event involved the entire extended family and took place at Buckingham Palace. Happening five days before Christman, the event is an annual event that all members of the royal family are invited to. The queen holds the lunch on December 20th, before taking off for her annual break at Sandringham. This year was not Princess Charlotte’s first, but it was Megan Markle, who will be joining the extended family in 2018. 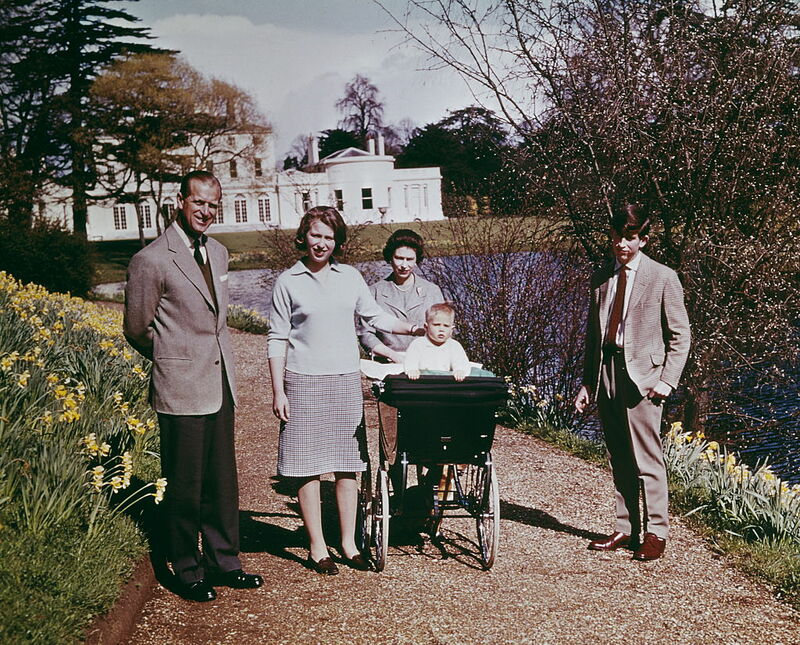 This vintage photo from 1971 shows that even the Royal Family spends quality family time together. 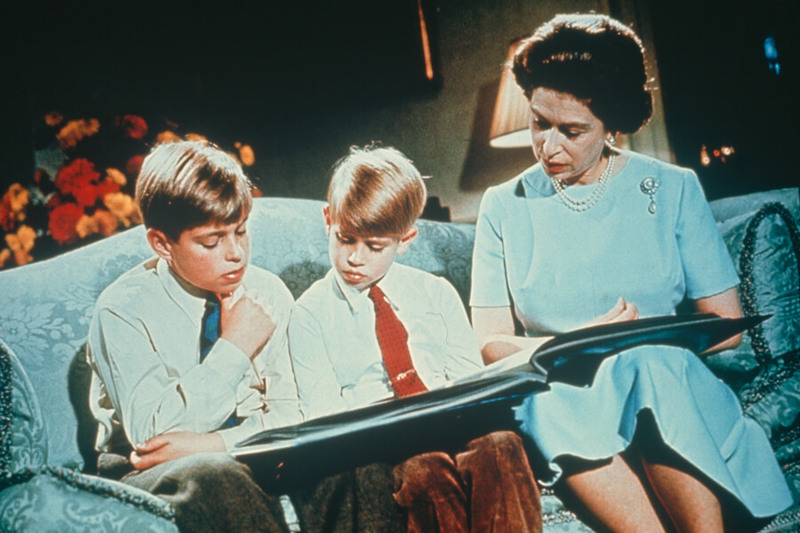 This is Queen Elizabeth II looking through a picture album with a young Prince Andrew and Prince Edward. The picture was taken in December and ended up being used in England for publicity. It was used as footage in the Queen’s Christmas broadcast, illustrating the holiday’s theme of family. 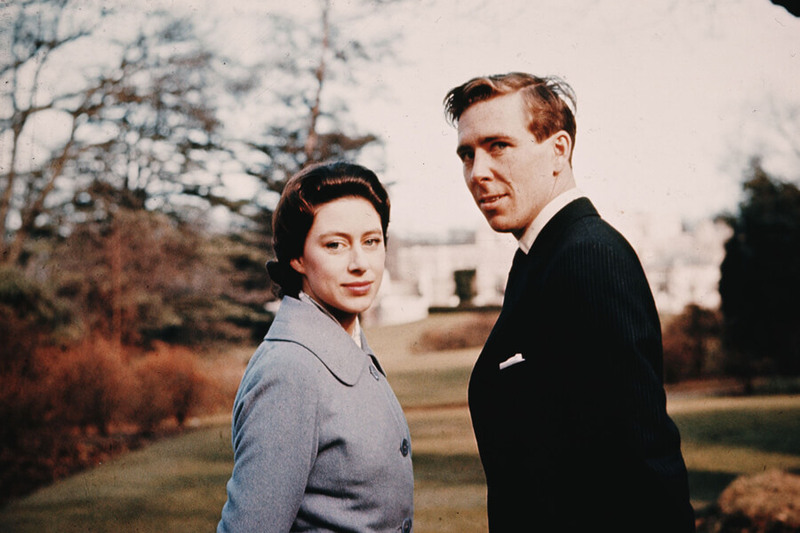 After announcing their engagement, Princess Margaret and Antony Armstrong-Jones posed for this photo and the Royal Lodge. The wedding ceremony in 1960 was the first of its kind to be broadcast on television. The marriage lasted for 18 years. 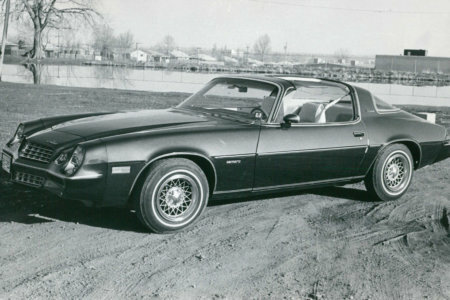 In 1978, the couple divorced, unable to find even footing between their conflicts. 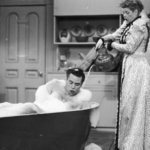 Rumors began to swirl as early as 1966, however, that Margaret was having extramarital affairs. Everyone, Look At The Camera! Only two people in this photo looked at the camera for what must be a posed photo. Princess Anne and Prince Charles, sitting on the outer edges of the couch seem aware the photographer is taking the picture. Candid pictures like this one from 1972 are rare. Whatever conversation is happening shows the genuine interest the family has in each other. We wonder what story Prince Andrew is entertaining everyone with! When Queen Elizabeth II visited Peking, China in October 1986, she was treated like the royalty she is. 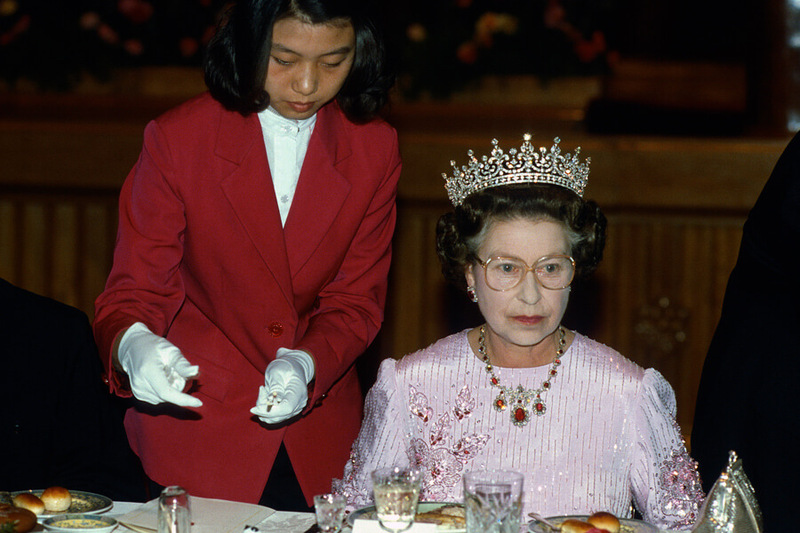 Here she is being offered chopsticks at a state banquet. The Queen was visiting China after trade increased between them and England. 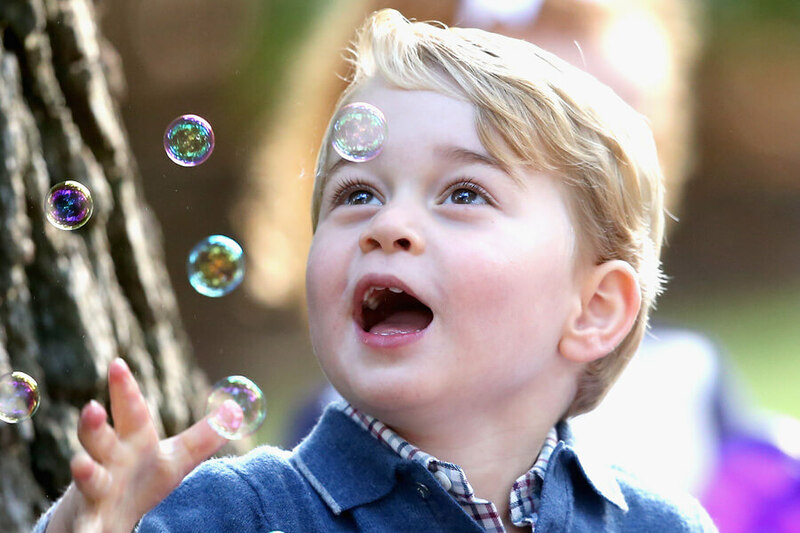 In one of the cutest photos you’ll ever see of the Royal family, here is Prince George of Cambridge playing with bubbles. He is attending a children’s party in Canada in honor of military families. The Royal family spent their Royal Tour in 2016 in Canada. The eight-day trip visited areas including Victoria, Bella Bella, Kelowna, and Whitehorse.